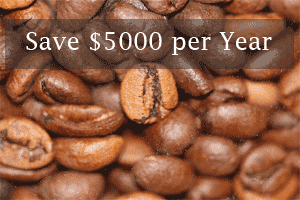 Each week, a new blog post shows how you could save $100 per year. If you were to follow the suggestions each week and realise the claimed benefits, you could save over $5000 per annum. That may not sound like a lot but for someone in debt, this could be quite advantageous. Credit card interest on $5000 could amount to an additional $500 or more in savings (assuming a 17% interest rate). Imagine how this could help someone with a debt of say $10K?. Visit the web site and see if you can find some savings for you and your family.